As suggested by DementedFairy, we will be taking inspiration from Japan with its rich cultural heritage in art and fashion. Inspiration and ideas will be presented to help you choose a project, whether it be a quilt inspired by Japanese flora and fauna, or an inventive dress or top from one of the amazing Japanese pattern books with their origami-like shapes and complex techniques, or maybe just a garment for you using a popular Japanese style fabric print. The competition will run from Thursday 1st June - Friday 30th June. You have until 23.59 on the 30th to complete. Your item must use an obvious, recognisable Japanese inspiration. This is open to interpretation but we would ask you to make it obvious and not too grand a leap. Possible ideas include using a Japanese pattern, traditional Japanese toys, a print with a Japanese-style design, a fabric, or inspiration direct from the country e.g flora and fauna, colours, styles. You MUST NOT cut your fabric until the 1st June. You can only wash it, dry it, prepare patterns, sew a toile etc. You cannot cut your fabric. You must post at least 5 times in this thread to qualify. Please be involved and post updates! You must submit at least three pictures; one of your uncut fabric, one of mid-construction, and one of the finished garment. (These pics needs to be submitted at the end, so they don't have to be posted in-thread unless you want to share). Please send your finished make pictures (three required, as above) to sewalongs@thesewingplace.org.uk by the deadline. Winners will be chosen by public vote. This post is reserved for FAQs. You MUST NOT cut your fabric until the 30th June. You can only wash it, dry it, prepare patterns, sew a toile etc. You cannot cut your fabric. I think you mean that you mustn't cut your fabric until 1st June. Oh excellent. 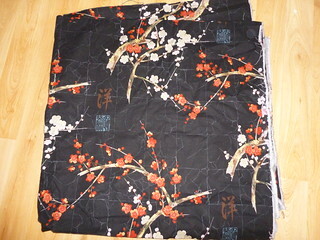 I have some gorgeous Japanese print cotton I can use to make something for DD. 2018 wardrobe items completed 6. Love this but not to sure what to make. I'm not to sure which way up the writing should go, can anyone read it? 「洋」is a real Japanese word. The stamp must be showing someone’s name and I cannot read it. But we use that kind of stamp for your signature. It is not a difficult word but I am struggling to find the literal translation for this word. It means Western, European, Foreign, etc… (literally opposite word of the word, Japan). 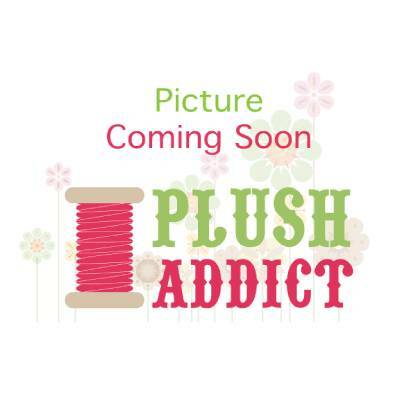 from the Plush Addict site are gorgeous. They are both quite expensive per metre, but you could squeeze out a fitted or A-line skirt or at a pinch, a simple shift. I have no inspiration at all right now. Oh dear! Think I'll take a rain check on this one! When do we post the first pic of the ingredients, so to speak? And can we practice before 1st June ??? Fran, now just stop it - I've already decided this is not for me then I go and look at stuff and remember how much I like sewing with Japanese double gauze and how lovely it is to wear -....... no , no, no ..AND I'm under the influence of lunchtime drinking, so I'm fragile emotionally at the mo - sob!